Get to Know Cassandra Lacina-Griffin! 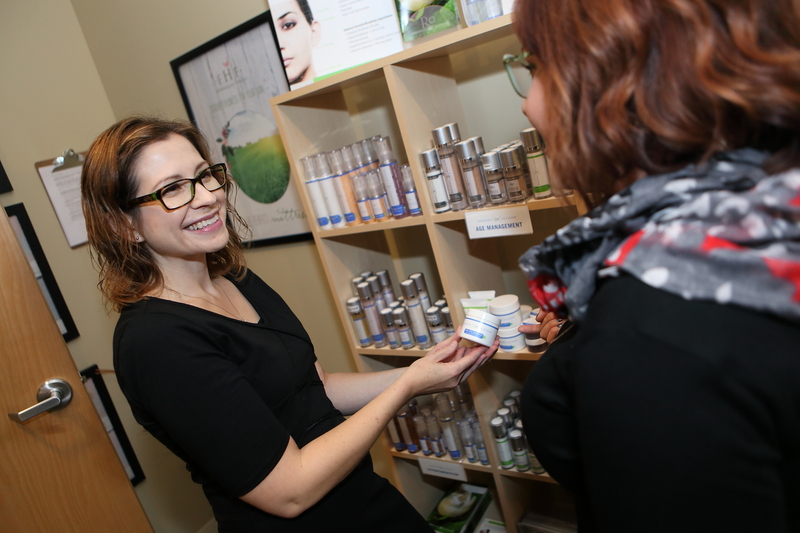 Cassandra Lacina-Griffin joined our team in 2013, with over a decade of skincare and nail care experience, Cassandra provides expert skin care, manicures, pedicures, and facial waxing services to her guests. What are your licenses and how long have you been in this field? I have my bachelors in communication and theater from Wartburg. I graduated from the nail technology and esthetics programs at La James in Cedar Falls in 2006. Prior to working at East Village Spa, Cassandra worked at Winding Stream Spa in Tama for several years. Hydrafacial, chemical peels, working with people who have acne, rosacea, or sensitive skin, and shellac manicures. What made you decide to pursue a career in this field? As a child, I always wanted to play dress up, then came make up and nail polish. As I got older I loved reading about skincare in magazines and in middle school my friends and I polished each others’ nails. I did make up for theater in high school and continued doing make up for the theater department at Wartburg. I always wanted to learn more and try new products so I decided to get a skin care degree. What are your favorite services to give? What are your favorite services to receive? What is your favorite product at the spa? Mandelic Arginine Serum from Rhonda Allison for gentle exfoliation and age-defying properties. I work part time at Jett and Monkey’s Dog Shop, foster dogs and volunteer for local animal rescues. I love traveling, especially Hawaii. My new favorite sport is stand up paddle boarding! Why should clients visit YOU? I have over a decade of skincare and nail care experience and I love helping my clients to find ways to achieve their skin care goals. I also provide an expert, precisely polished Shellac manicure. What are clients saying about Cassandra? Want to schedule a facial, wax, manicure or pedicure with Cassandra? Click here to book online! If you wish to make a specific request to see Cassandra, please select “Specific Therapist” and her name from the drop down menu. This entry was posted in Skin Care, Spa Team and tagged Cassandra, esthetician, nail technician, The Spa Team by Cassie. Bookmark the permalink.